Wind farms provide a cleaner energy alternative to burning fossil fuels, but new research has found that they might also make an unexpected impact on surrounding wildlife. Wind farms are reducing the local numbers of birds and bats, as well as disrupting bird migration routes. Birds, including top predators, are now known to avoid wind farms altogether, lest they be killed by the turbine blades. In India, an iconic species known as the superb fan-throated lizard is more plentiful around wind farms, but they're smaller and less colourful than those living further away from the turbines. According to Maria Thaker, an assistant professor at the Indian Institute of Science in Bangalore, India, building a wind farms is akin to introducing another predator into the ecosystem. "The birds are gone because wind farms are there. To us that actually means that wind farms have now topped the food chain because they are functionally removing a level below it," she told Quirks & Quarks host Bob McDonald. 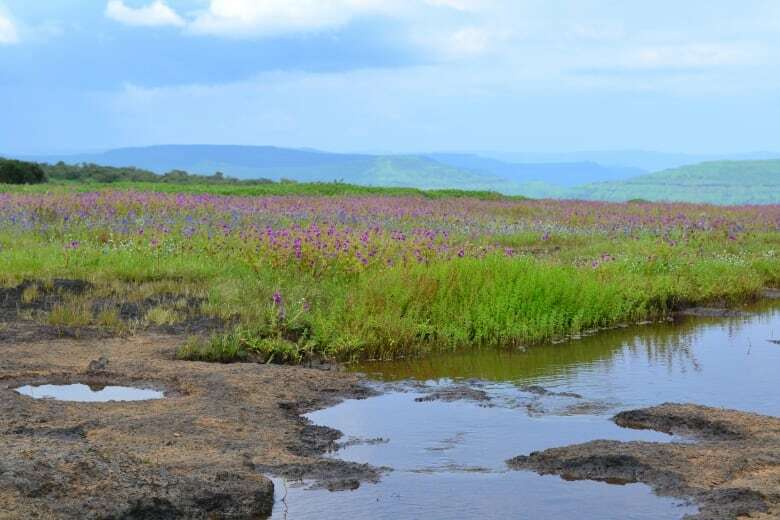 Thaker and her colleagues focused on wind farms on a 27 kilometre-long mountain plateau of the Indian Western Ghats range. It's a dry, rocky region that is also an ecological hotspot, home to a variety of predatory birds and ground-dwelling prey. In that location, there are 15 turbines per square kilometre. The study found that wind farms impact ecosystems by either killing or driving away the top predators, which in this case are birds of prey. This begins a cascade down the food chain that impacts lower-level animals. 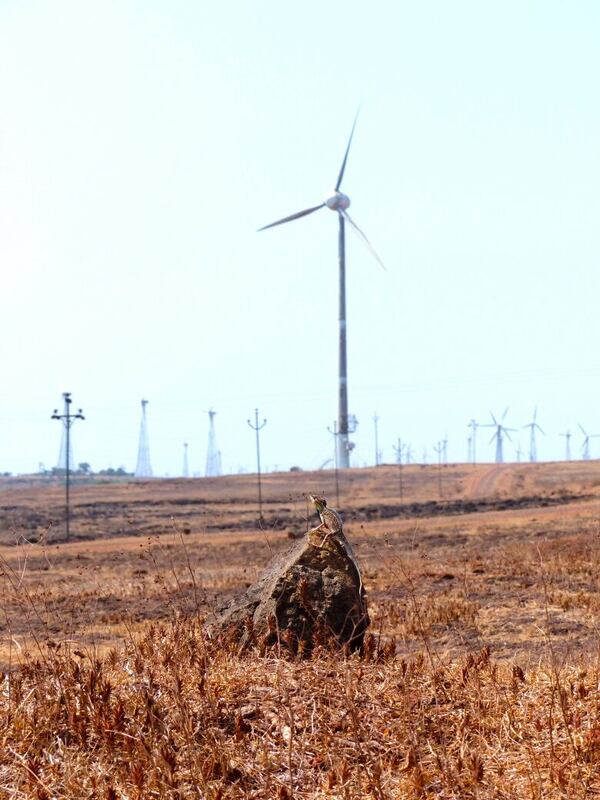 Areas in the Ghats without wind farms had four times as many predatory birds as those that did have them. The absence of birds allowed the lizard population to thrive; areas with wind farms had three times as many lizards as those without. "If I had stopped the study there, if I had measured the number of birds, measured the density of lizards, measured their behavior and their morphology, I would have concluded that wind turbines are bad for birds [but] good for lizards — and I would have been wrong," said Thaker. That is because lizards living near wind turbines experience a number of changes in physiology, behaviour and size. The increase in competition for food around wind farms is at a level the lizards have never experienced before. "The consequence is that they are skinnier and they can't invest in elaborate phenotypes like colour. So they are duller and thinner," Thaker explained. The absence of predators has also decreased their fear response. They have become bolder, and don't run away in the presence of humans as they normally would. Blood tests reveal that the lizard's stress hormones are at lower than normal levels, too. "It looked as if these lizards no longer perceive their environment as dangerous," said Thaker. It's not yet clear how far this food-chain cascade goes. Thaker assumes that beetles, one of the lizards' food sources, have become less plentiful. She said local vegetation will also likely change, both in quantity and in the variety of species. Thaker cautions, however, that her findings shouldn't be taken as a warning against using green energy sources like wind farms. "It's just to be smart about how we pick areas that are not ecologically sensitive," she said. "We just need to be clever about how we install them."